Although it isn’t immediately obvious, the NuGet package of MicroLite contains a compiled help file (since release 3.0.3). 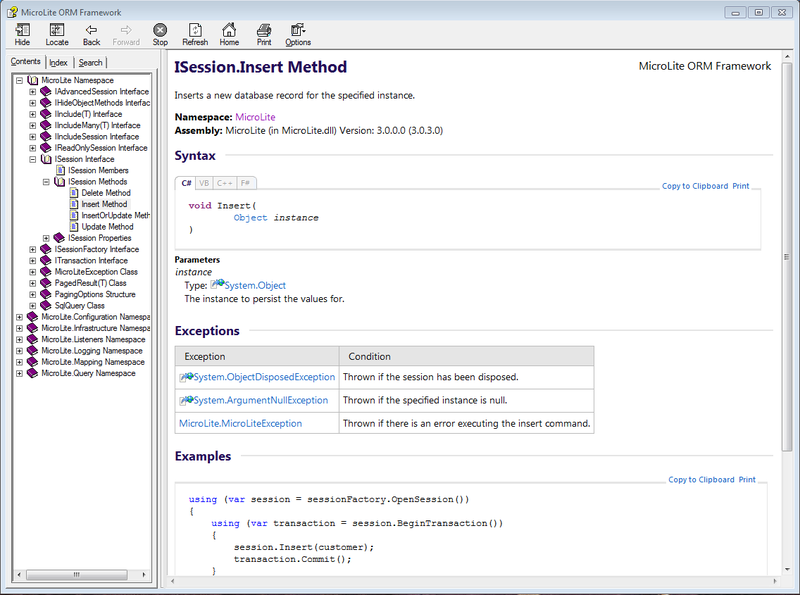 You can find it in solution folder\packages\MicroLite.x.x.x\MicroLite.chm it is built from the XML documentation (which also is used by Visual Studio to provide tool tips). It is improved with each release an contains example usage for the more commonly used methods. This entry was posted in Informational, Tip and tagged Documentation on March 28, 2014 by trev.